I received all the charms for the two separate Alison Glass charm swaps that I was hosting, and today I am sharing the beautiful bundles that I had the pleasure to put together and ship out! I couldn’t pass up the opportunity to sort the charms into rainbow order. 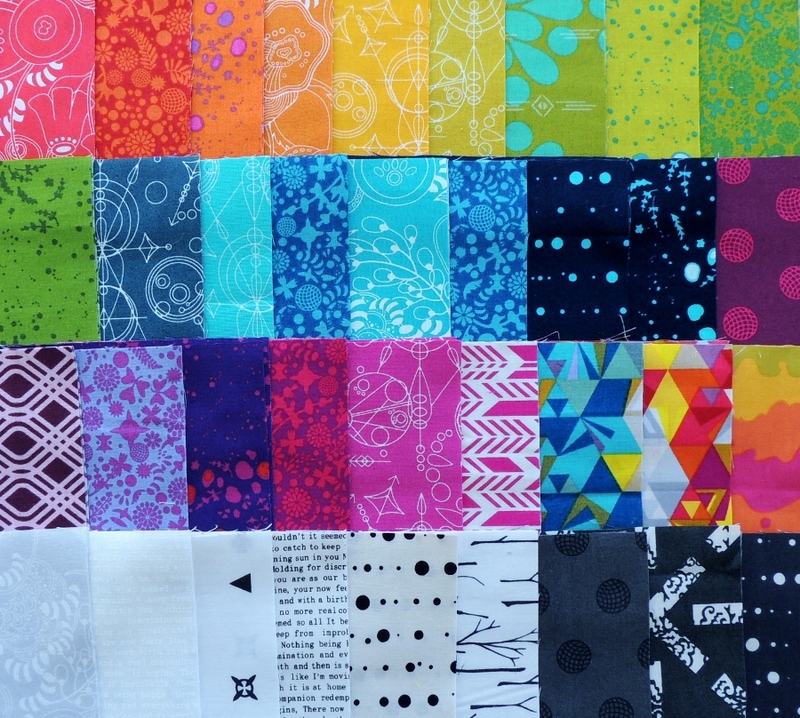 Alison Glass’s fabrics just beg for that kind of organization, don’t you think? Group 2 was actually the first group to get all their fabric to me, but I was able to get both groups sorted and shipped back out before my re-shipping deadline of Monday, November 27th. I’m rather pleased with myself! 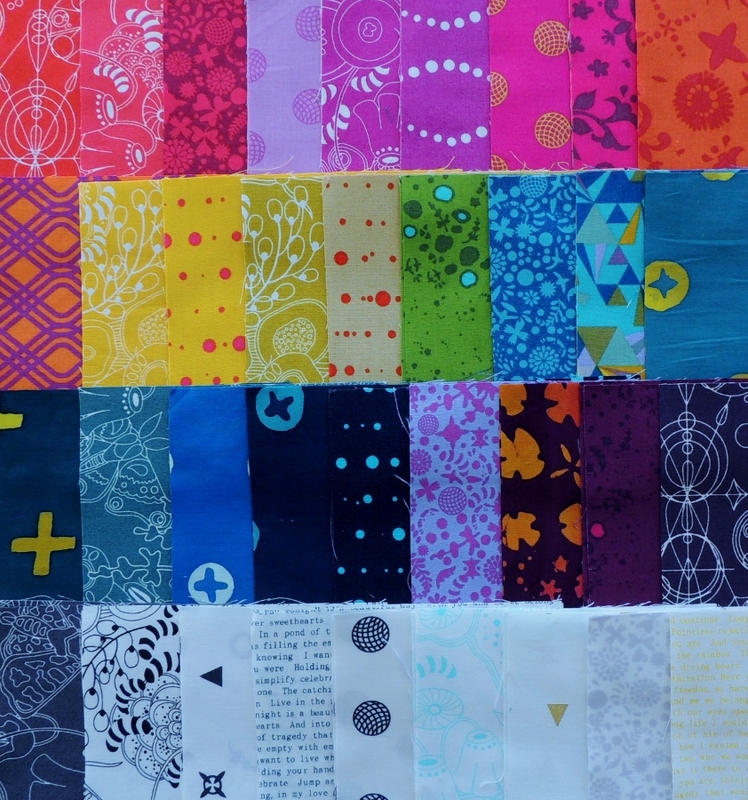 There were a few duplicate fabrics when combining both groups together. Overall, there were 63 unique prints out of a possible of 72 which is impressive! These charms are just what I needed for one of my projects on my to-do list, so I guess this means I don’t have an excuse about making that particular mini quilt any longer. Yvonne, thanks for all of your hard work on this swap! I received mine yesterday! Thank you! Amazing variety, and such lovely colors! My fingers would have itched, too, until I could arrange the colors. I did my threads yesterday, then admired the beauty of color. Looking forward to seeing your creation(s)! Wow! The variety is amazing! What a beutiful sight! I know you have something in mind with your charms and look forward to seeing what it is! I agree with the amazing variety. Very pretty collection. Look forward to seeing the final reveal. They would be so hard to not put into a new project immediately. What a stunning range of colours. Ooooh both sets look great together! I can’t wait to see what you will make with your charms! These look delightful! I will wait with baited breathe to see your next creation. I kid you not, there isn’t one piece of Allison Glass that I don’t like. I love the set of charms created by this swap! Awesome! I think I’m a little jealous over here. 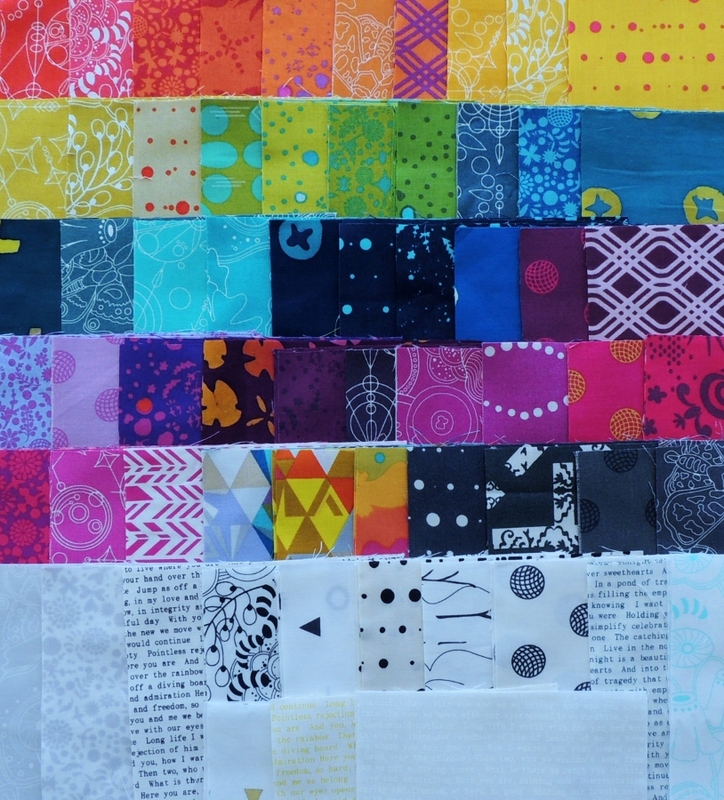 Great collection, it is great how you got such an array of colors from the swap participants.